The Malaysian currency gained ground against the U.S. dollar during early Asian deals on Wednesday. The ringgit strengthened to a 1-week high of 3.1018 against the greenback, gaining 0.26 percent from Tuesday's close of 3.11. The ringgit is poised to break next upside target level at 3.09. 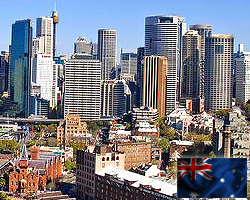 Australia saw a seasonally adjusted unemployment rate of 5.4 percent in February, the Australian Bureau of Statistics said on Thursday. 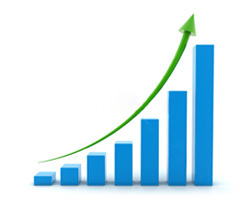 That was unchanged from the previous month, and it also beat forecasts for 5.5 percent. The Australian economy created 71,500 jobs in February - well ahead of forecasts for an increase of 10,000 jobs after 10,400 jobs were added in the previous month. 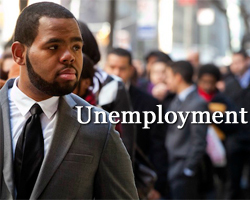 The participation rate was 65.3 percent, also beating expectations for 65.0 percent - which would have been unchanged from the January reading. The Japanese yen that fell against the currencies of the U.K. and Switzerland at the beginning of Friday's Asian session erased some of its losses shortly. The yen snapped back above the 145.0 level versus the pound, rising as high as 144.85 from a fresh a 3-week low of 145.18. The pair closed Thursday's North American deals at 144.98. The yen also erased losses to reach as high as 101.40 from a 3-day low of 101.64 hit earlier. The franc-yen pair was worth 101.49 at Thursday's North American close. 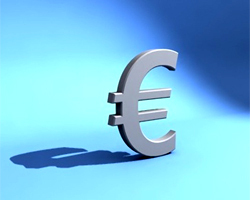 The European currency lost ground against the Swiss franc in Asian morning deals on Monday. The euro fell to 1.2173 against the franc, its lowest since February 27. On the downside, the euro-franc pair may break 1.21 level. The pair finished last week's deals at 1.2275. 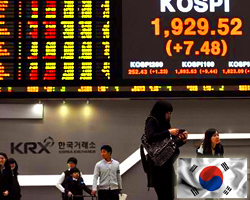 The South Korean won rebounded against the dollar on Tuesday morning, and was poised to snap an eight-day losing streak, its longest run of losses since early 2009. The local currency was quoted at 1,108.9 against the dollar at 0025 GMT, up half a percent compared to Monday's close at 1,114.6. 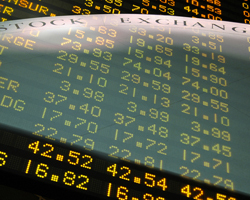 The New Zealand dollar traded lower against the U.S. and Japanese currencies in early Asian deals on Wednesday. 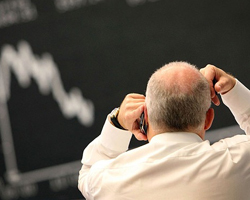 The kiwi reached a 2-day low of 0.8227 against the greenback from Tuesday's close of 0.8249. On the downside, the kiwi-greenback pair may break 0.82 level. The NZ currency dropped to 78.10 against the yen at 9:10 pm ET. If the kiwi extends decline, it may break 77.5 level. Japan saw a merchandise trade deficit of 777.5 billion yen in February, the Ministry of Finance said on Thursday. That beat forecasts for a shortfall of 855.9 billion yen following the downwardly revised deficit of 1,630.9 billion yen in January (originally 1,629.0 billion yen). Exports dipped 2.9 percent on year, missing forecasts for a 1.7 percent contraction following the 6.4 percent gain in the previous month. Imports jumped an annual 11.9 percent versus expectations for a rise of 15.0 percent after rising 7.3 percent a month earlier. BOJ offers to buy 400 bln yen CP outright from 3/27 via asset purchase program. In early Asian deals on Tuesday, the Japanese yen declined slightly following the speech of Bank of Japan governor Haruhiko Kuroda in the Parliament. Kuroda told that he will consider the extension of bond maturities and the possibility of more purchases in the asset purchase program. He added that BoJ's 2% inflation goal can be attained as other central banks have reached the target in 2 years. 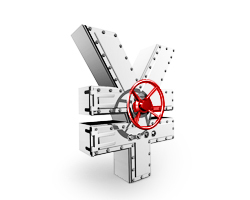 The yen is now trading at 94.33 against the greenback, 121.31 against the euro, 143.12 against the pound and 99.41 against the franc. 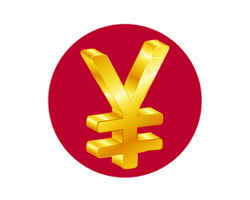 Around 9:20 pm ET, the yen slipped to 98.82 against the aussie, 78.85 against the kiwi and 92.45 against the loonie. New Zealand will on Wednesday see the March results of the business confidence and activity outlook surveys from ANZ Bank, highlighting a very light day for Asia-Pacific economic activity. In February, the business confidence survey saw a score of 39.4, while the activity outlook came in at 37.6. The Australian dollar fell against other major currencies in the early Asian session on Monday after the release of weaker-than-expected China manufacturing PMI for March. Data from China Federation of Logistics & Purchasing said that China's manufacturing sector expanded at a slower pace than expected in March. The PMI came in at 50.9 percent, compared to expectations of 51.2. The PMI reading for prior month was 50.1. The aussie fell to 1.0388 against the greenback, its lowest since March 21. The aussie may seek support around 1.03 level. The aussie slipped to a 2-week low of 97.69 against the yen, off its early 4-day high of 98.28. If the aussie extends decline, it may break 97.00 level. 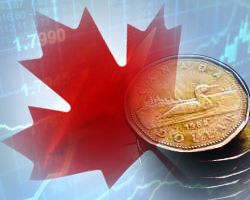 After touching a 4-day high of 1.0613 against the loonie in early deals, the aussie reversed direction and reached a 4-day low of 1.0575. 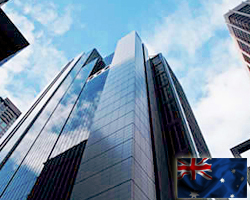 The aussie that declined to session's low of 1.2432 against the NZ dollar earlier rebounded but failed to hold gains. The pair is worth 1.2441. The aussie dropped to 1.2317 against the euro around 9:10 pm ET. On the downside, 1.24 is seen as the next target level for the aussie. The U.S. construction spending for February and ISM manufacturing index for March are due in the New York session. The New Zealand dollar advanced against the American currency in early Asian deals on Tuesday. 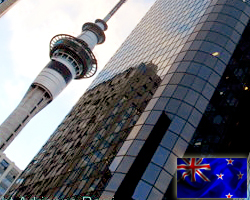 The kiwi that closed Monday's trading at 0.8372 against the greenback reached a 6-day high of 0.8390. The next upside target level for the kiwi-greenback pair is seen at 0.842. The Australian dollar gained ground against the euro during early Asian deals on Wednesday. The aussie climbed to a 6-day high of 1.2239 against the euro, staying closer to multi-month high of 1.2226 hit last week. If the aussie rises further, it may break 1.22 level. 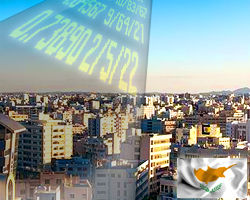 The pair ended Tuesday's trading at 1.2273. The total number of building permits issued in Australia was up a seasonally adjusted 3.1 percent on month in February, the Australian Bureau of Statistics said on Thursday, standing at 13,371. 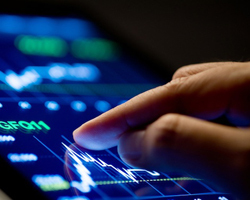 That beat forecasts for an increase of 2.5 percent following the upwardly revised 2.0 percent contraction in January (originally -2.4 percent). On a yearly basis, building permits were up 12.8 percent - shy of expectations for a gain of 14.3 percent after collecting an upwardly revised 10.0 percent in the previous month (originally 9.9 percent). Malaysia is on Friday scheduled to release February figures for imports, exports and trade balance, highlighting a modest day for Asia-Pacific economic activity. In January, imports were worth 53.72 billion ringgit, while exports came in at 56.99 billion ringgit for a trade surplus of 3.27 billion ringgit. The Philippines will provide February figures for producer prices and March data for consumer prices. In January, PPI was down 1.6 percent on month and 7.6 percent on year. In February, CPI was up 0.3 percent on month and 3.4 percent on year. 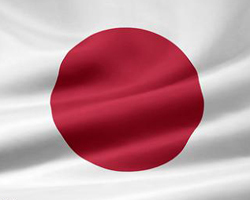 Japan will see the preliminary February figures for its leading and coincident index. The leading index is expected to show a score of 97.3, up from 95.0 in January. The coincident is called at 91.9, up from 91.6 in the previous month. Finally, markets in Taiwan and China remain closed on Friday in observance of Tomb-Sweeping Day; they will re-open on Monday. Japan saw a current account surplus of 637.4 billion yen in February, the Ministry of Finance said on Monday - down 47.0 percent on year. That topped forecasts for a surplus of 435.4 billion yen following the 364.8 billion yen deficit in January. 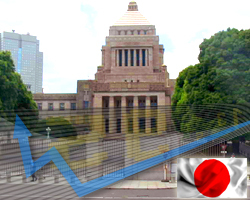 The trade deficit came in at 677.0 billion yen after showing a shortfall of 1,479.3 billion in the previous month. Imports were up 11/5 percent on year to 5,742.8 billion yen, while exports dipped an annual 3.5 percent to 5,065.9 billion. Overall bank lending in Japan was up 1.9 percent on year in March, the Bank of Japan said on Wednesday, standing at 404.786 trillion yen. That matched forecasts following the revised 1.8 percent increase in February - which was originally called higher by 1.9 percent. Including trusts, bank lending added 1.6 percent - also in line with expectations following the 1.5 percent gain in the previous month. Loans from foreign banks declined an annual 7.6 percent to 2.030 trillion yen after falling 6.7 percent a month earlier. The Reserve Bank of Australia will on Tuesday release the minutes from its monetary policy meeting on April 2, highlighting a light day for Asia-Pacific economic activity. At the meeting, the RBA kept rates on hold at 3.00 percent. Also, Australia will see March figures for new motor vehicle sales; in February, sales were flat on month and up 9.4 percent on year. Japan will see March figures for condominium sales; in February, sales were down an annual 10.9 percent. Finally, the Stock Exchange of Thailand remains closed on Tuesday for the Songkran Festival; it will re-open on Wednesday. The Japanese yen slipped against its major counterparts in early Asian deals on Wednesday. The yen dropped to a 2-day low of 98.20 against the greenback, 5-day lows of 150.85 against the pound, 129.45 against the euro and 106.46 versus the franc. 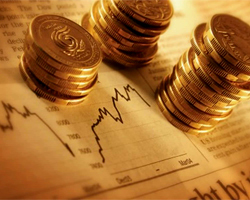 The Japanese currency reached as low as 101.83 against the aussie, 83.30 against the kiwi and 96.05 against the loonie. 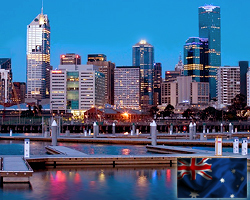 Amid the release of Australia's NAB business confidence index for the first quarter in early Asian deals on Thursday at 9:30 pm ET, the aussie changed little against other major currencies. The aussie is now trading at 1.0287 against the greenback, 1.2200 against the kiwi, 100.61 against the yen and 1.2672 against the euro. Extending its 2-day losing streak, the Australian dollar dropped below the 1.0550 level against its Canadian counterpart on Friday morning in Asia. 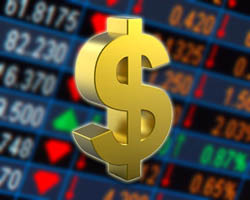 The aussie reached an 11-day low of 1.0546 against the loonie, down almost 0.3 percent from Thursday's close of 1.0572. Immediate support is visible around the 1.0535 level, its April 4th low and a move below this mark could set nearly a 6-week low for the pair. The Australian dollar dropped against the U.S. dollar in early Asian deals on Monday. The aussie that closed last week's deals at 1.0274 versus the U.S. currency declined to 1.0265, its lowest since March 11. The next downside target level for the aussie-greenback pair is seen around 1.02. 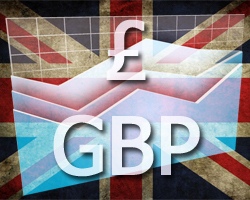 The European currency traded lower against the British pound in early Asian deals on Tuesday. 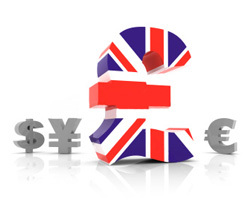 The euro that closed Monday's deals trading at 0.8543 against the pound slipped to a 4-day low of 0.8535. If the euro extends slide, it may break 0.845 level. 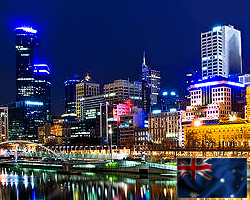 Australia's consumer price inflation for the first quarter was released in early Asian deals on Wednesday at 9:30 pm ET. After the data, the aussie slipped against its major counterparts. The aussie is now trading at 1.0237 against the greenback, 1.2694 against the euro, 101.95 against the yen and 1.2144 against the NZ dollar.